This overview originated in 2019. 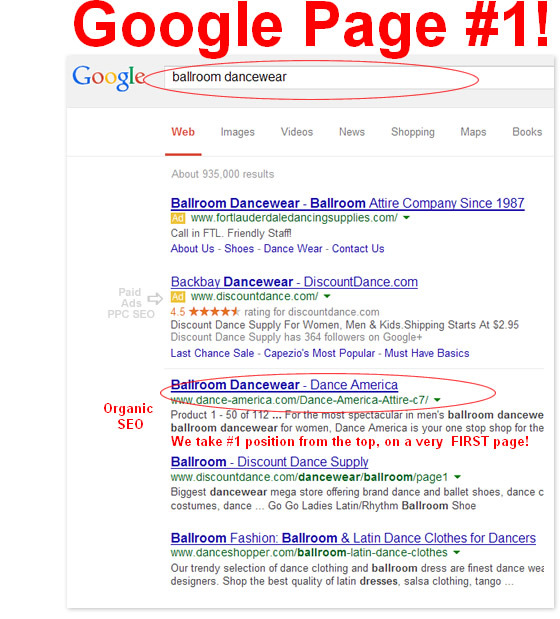 As of Januaryt 2019, this Ballroom Dancewear store is receiving an extremely high number of new leads from organic search engines every week. Sites on the first page are more likely to generate traffic than those on any page following. This World Wide store now has the ability to reach people all over the world. To analyze the website, feel free to visit www.dance-america.com. This SEO overview originated in April of 2014. 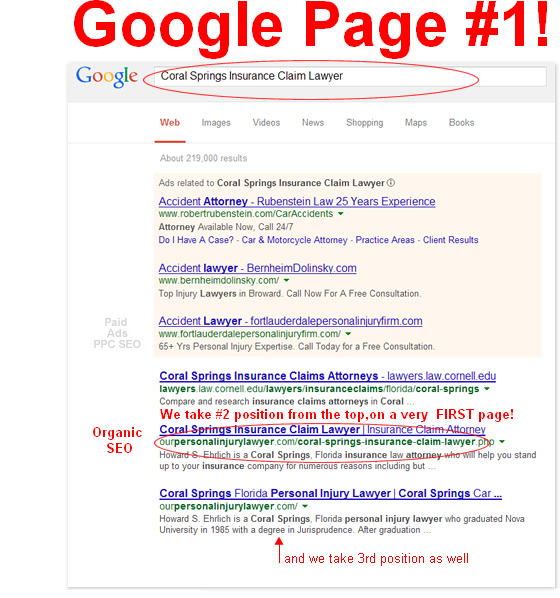 As of April 2014, this law firm is receiving an extremely high number of new leads from organic search engines every week. Companies on the first page are more likely to generate traffic than those on any page following. 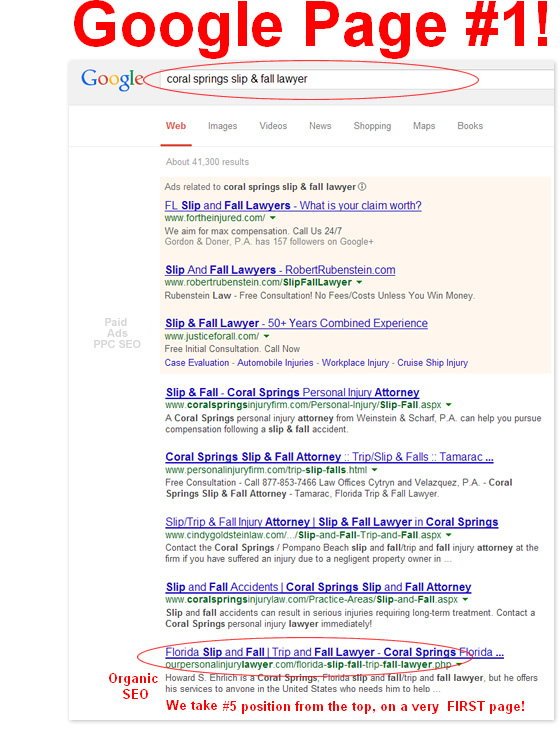 This law firm now has the ability to reach an audience that it had never done before. 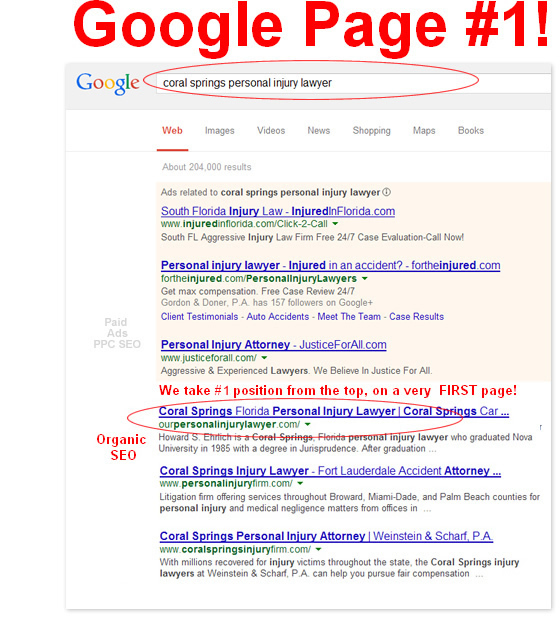 To analyze the website, feel free to visit ourpersonalinjurylawyer.com. H.S. Ehrlich's, Personal Injury Lawyer firm and Dance-America Ballroom Dancewear Store are not the only companies that we work with. We have clients in many different industries, and each client has received the same results. With some time and hard work, we can bring your business to the top of the Google search pages as well. The secret is that while we can bring you to the top, you have to get the customers' attention in order to receive their business. We will help you shine on the first page of Google, but it is up to you to provide the customer satisfaction and customer support in order to keep generating traffic. We want you to have a successful business, be at the top of the list and be able to generate the traffic needed to gain new customers and clientele. There are many powerful steps that could be implemented to get to top ranking, so let our professionals put their success to grow your business.